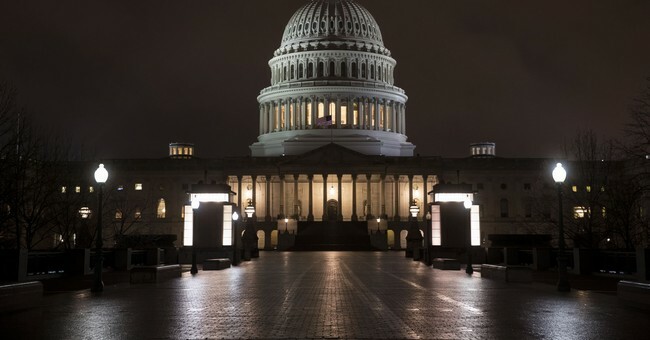 Congress passed a $1.3 trillion omnibus early Friday morning, averting a government shutdown but irking many Republicans in the process. However the legislation, which was supported by GOP leadership, completely ignores the long-term fiscal health of the country—a point discussed by many more than just Sen. Rand Paul this time. “It just boggles my mind that we continue to spend at a level that’s no different than the last three or four years of the Obama administration,” said Rep. Mark Walker (R-N.C.), chair of the Republican Study Committee caucus. “We’re codifying levels never seen before, an upward trend in government spending, that should give all of us pause,” said House Freedom Caucus member Mark Sanford (R-S.C.). Rep. Louie Gohmert (R-Texas) likewise disapproved, calling the 2,232-page bill “a disaster” ahead of the vote. Sen. Rand Paul was especially vocal in his opposition. “Victory for conservatives today is that all of America now knows what a budget busting bomb this bill is. Hopefully, today’s battle will embolden conservatives to descend on Congress and demand Constitutional government,” the Kentucky Republican said after tweeting out information from 600 pages of the bill. Rep. Mike Conaway (R-Ill.) blamed Senate rules requiring more than a simple majority to pass spending bills for why the spending got out of control. Management and Budget Director Mick Mulvaney used that reasoning as well.